Premier CDJR of New Orleans is your local new and used car dealership near Slidell. We are excited for the opportunity to tell you more about our impressive stock of new CDJR cars and trucks for sale. The sales team at our Chrysler, Dodge, Jeep, and Ram dealership is familiar with the full trim lineup this year's new models. We hope to tell you more about the standard features and available options on the new Jeep Cherokee. To keep your car running like new, routine auto repair is essential. For your next oil change, tire rotation, brake inspection, or battery test, our service department is here to serve. When buying a car, a question that often comes up is, is it better to buy or lease? Our finance department can help you answer that question. We'll ask you how many miles to plan to drive and if you always like having the latest technologies. After you pick the color of your next Ram 1500 Big Horn, we'll help you find a competitive car payment that meets your budget. Premier CDJR of New Orleans also offers Slidell offers service specials and coupons on OEM auto parts for sale. Find your next Chrysler sedan, Dodge muscle car, Jeep SUV, or Ram truck at our New Orleans auto dealer. CDJR is an abbreviation for Chrysler, Dodge, Jeep, Ram. We are proud to stock a comprehensive inventory of each manufacturer's lineup of vehicles. When you shop our dealership, you have the benefit of a diverse selection. If you are thinking about a new sedan, crossover, SUV, or truck, you'll find them all in one convenient location. There is no need to drive from dealership to dealership to see the type of vehicle you're looking for. We carry them all. From new Dodge performance muscle cars to Ram full-size trucks to Chrysler four-door sedans, you'll find the new ride you need to inspire your daily commute at our Slidell area car dealership. Let our sales team know about the features you care about and your budget. We'll tour you through several impressive options. If you want to see what new cars come standard with Android Auto™, we can tell you about the trim features on all the new models. 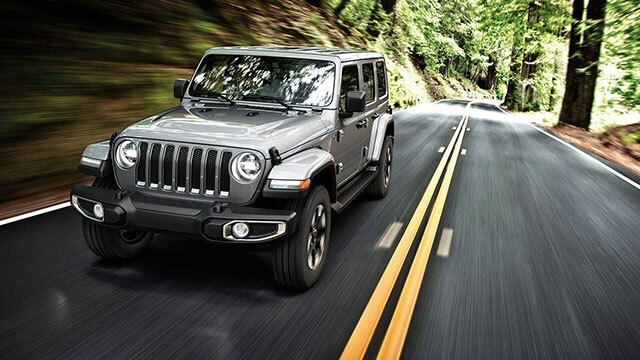 When you are ready to drive home a Jeep Wrangler 4x4, our finance team will walk you through our credit application. 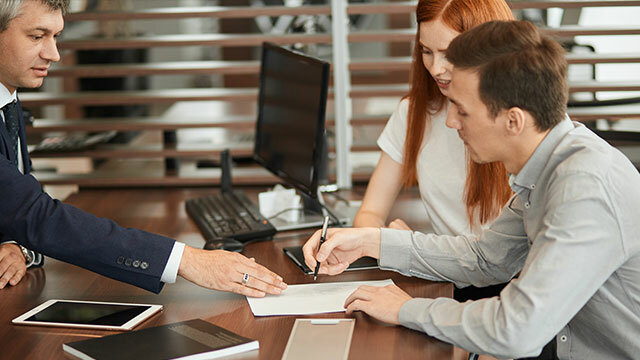 Receive the competitive car loan you deserve at Premier CDJR of New Orleans! Along with carrying new cars, SUVs, and trucks, our Slidell area auto dealer offers an expansive selection of pre-owned models for sale. The benefit of providing fair trade-in value to our customers is the ability to maintain a full supply of used cars and trucks from a wide range of manufacturers. While we specialize in CDJR vehicles, explore the used heavy-duty trucks we carry when you need a truck that works as hard as you do. You'll find used compact sedans and crossovers for sale at competitive prices. Every pre-owned vehicle we offer receives a multi-point inspection for initial quality to ensure its dependability, safety, and performance. We can tell you more about the Carfax® report on your next used convertible when you arrive. If you are thinking of selling your used car for cash near Slidell, LA, we invite you to trade-in your vehicle to our dealership. Premier CDJR of New Orleans offers Slidell drivers a finance department on-site. We want to see you be pre-approved for a car loan and drive home happy. When shopping around for lease deals on new cars, be sure to ask our car loan agents about the rates you qualify for. If you would like to have a better sense of your creditworthiness, take a moment to fill out our quick credit application. Many drivers we help with used car financing have a less-than-perfect credit score. If you are currently struggling with a credit rating that is below tier-one, come to our dealership. We want to work with you and help you find the used car you need. You can also apply for alternative credit options right here on our website. Simply complete our bad credit financing application at Premier CDJR of New Orleans. When we discover the recent divorce or repossession that put a blemish on your credit report, we'll be able to discuss your options. Premier CDJR of New Orleans invites Slidell area drivers to visit our new and used car dealership in New Orleans, Louisiana. You will find a comprehensive inventory of new and used Chrysler, Dodge, Jeep, and Ram vehicles for sale. We offer a zero-pressure, family-friendly car buying atmosphere.